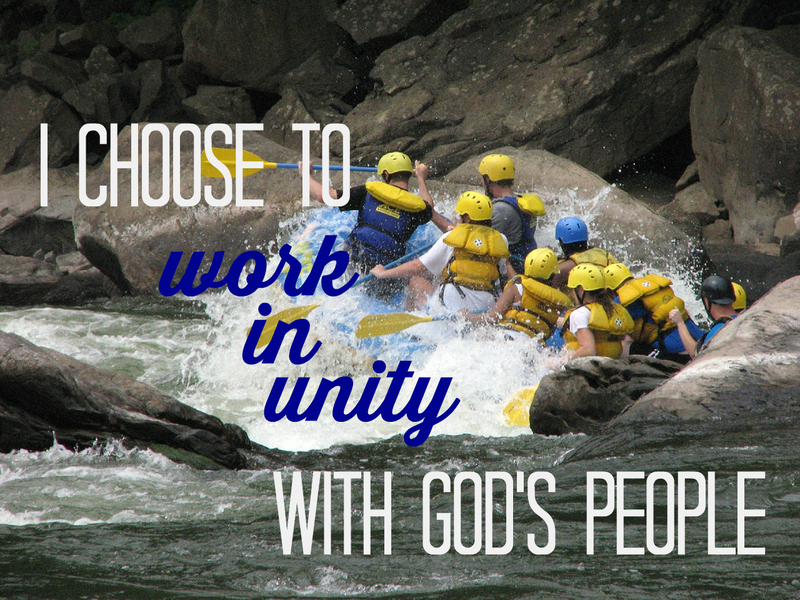 Theme: I choose to work in unity with God's people. Chapter 3 portrays a group of committed and dedicated people working together to rebuild Jerusalem. They are composed of family, friends, neighbors from different backgrounds and professions, men and women together. They come together for one purpose, laboring in one accord, helping one another. This chapter records a long list of people's names which many are hard to pronounce. Honestly, reading their names was tedious. At the same time, I knew that every name mentioned has a purpose. Every name has meaning. Like for example, the name Eliashib, the very first name mentioned in this chapter. Eliashib in Hebrew means, "God restores." This chapter starts with the message of "God restoring" the Sheep Gate (which has a deeper meaning that I hope to dig later). Feeling tedious of reading the names, I went back to my study guide. I read something that the contributor mentioned which totally changed my outlook in this long chapter which is full of names and list of repetitive words of the kind of work they did. As I read the names, I envisioned the faces of the people that I will be serving with at camp. I visualized us, volunteers, working in our respective cabins, decorating, preparing logistics, and most of all, supporting each other in sowing the seed of God's truth and grace in the children's hearts. Like the people in this chapter, we came from different backgrounds. We have different temperaments and personality. Yet, in this five-day period, I make a personal decision to set aside my selfishness, my pride, my privacy, my comfort. Doing allows me to give what my fellow volunteers the support they need from me. "Following New Blue Prints Devotional is created for RFK Camp volunteers in preparation for RFKC 2018. Images used in this blog is a personal choice." 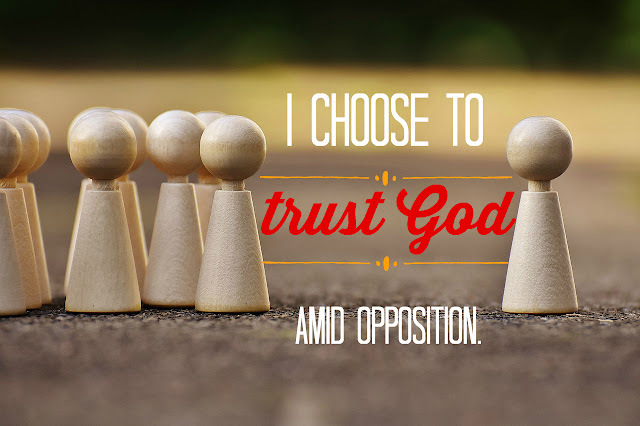 Theme: I choose to trust God amidst opposition. Nehemiah went to inspect the places affected by the destruction by himself. Seeing Jerusalem in total ruin encouraged him more, to move forward with what he intended to do—rebuild his beloved hometown. Nothing was going to stop him. When he came face to face with his brethren, he gave a speech that motivated their spirit to do the work. Nehemiah ensured his people of God's goodness and how God approved of their desire to rebuild Jerusalem. He also told them about how the king supports them all the way. However, bullies came and downgraded their plan. They were right on their faces, throwing all the negative words they can say. Yet, Nehemiah was not threatened. He knew whom he stood for. He had so much confidence in his God, his detractors' words mean nothing. When I told family and friends about my plan to volunteer for RFKC this summer, I do not know if there were people who thought in secret that it's a ridiculous idea. For someone who doesn't know these kids in distress, and what could happen during camp, some people may think it's a "suicide." But like Nehemiah, I do not care what they think. What I care is the whisper of God in my heart. When He put that passion in my heart for it, I took steps to walk in the journey that He wanted my feet to tread. What I care is this exciting moment of my life that God opened for me. What I care is the love and the hope I can give to the kids God handpicked for me to have an impact on. God already prepared the way for me and these kids. Everything is ready for all of us. The oppositions' words and thinking have been silenced. Like Nehemiah and his people, we win. Our God made it so. 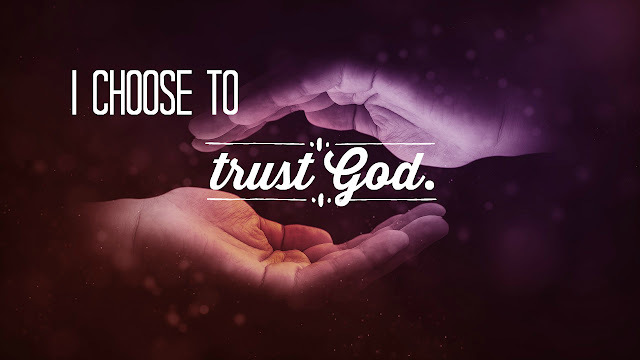 Theme: I choose to trust God. Nehemiah must have been looking depressed for months (from the time he heard the news) while serving the king, that one day the king asked his cupbearer the reason behind his dejected face. The king couldn't take it any longer. The happy Nehemiah doesn't look like the Nehemiah he knows. This sad face has been going on for months. The king sensed that his servant is going through a deep emotional struggle. I love how Nehemiah responded. He didn't have any reservations. He did not let his fear stop him from telling the king the very truth behind his sorrow. Because of his boldness, the door to work out an answer to his concern was opened. However, his audacity was coupled with trust in his God through prayer. He didn't just thoughtlessly give the king a long list of what he needs, he started it all with a prayer. He is fully aware that anything he plans to do, will not be successful without involving God and putting Him first above everything. Nehemiah is a man of great faith. The Holy Spirit included the story of Nehemiah's unwavering faith in God as a vivid illustration of what it is like when I put all my trust in Him. God never disappointed Nehemiah in his talk with the king. The king gave all that he requested. He even sent captains of his army and horsemen to accompany Nehemiah, to ensure the safety of his journey. He gave him a great success in all his endeavors because, in everything he did, he put God first. When I follow Nehemiah's example, God will surely do the same for me. I've never been to RFK Camp before. I have a few pictures in my mind of what it will be like, but these are nothing compared to the actual scenario. I need the grace of God to remind me to put Him first in everything that I do or say. Doing this will bless all the people that I will be with especially the kids that I will be serving. I should not depend on my human efforts for they will bound to fail. But with God, I am bound to succeed in blessing the lives of the children and the volunteers. Theme: I choose a firm foundation. Nehemiah is one person who deeply cares for his own people, the Jews. Even if he lived in Babylon for several years after the Jewish people's captivity, Nehemiah never forgets where he came from and the people to whom he truly belonged. This attitude is displayed when fellow Jews from Judah arrived in Susa. He is so eager to hear from them the condition of the people and Jerusalem as a whole. The report shook his entire being, he struggled with emotional distress for several days. Yet, Nehemiah didn't just limit his concern for his brethren through weeping and feeling dejected. He did something significant which made his cause succeed from day one to end. Every day that he was fasting, he chose to talk to God the concerns of his heart, not to people. He knew who deeply understands what he's going through, and he knew who will help him all the way. 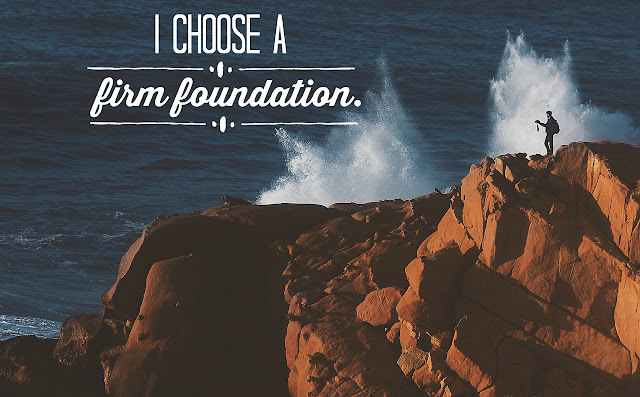 Nehemiah chose to start his journey on a firm foundation who is no other, but God. Nehemiah's choices of actions in his time of anguish is a personal reminder for me. Sometimes, I tend to find a way to solve a problem without approaching and telling God about it. I forget that if there's anyone who has a deep interest of the matters of my heart, it is my Father God. If there's anyone who is eager to provide what I need, it is God, my Provider. Oftentimes when I have a problem, I instantly plunge into my fleshly impulse. I want to solve the issues immediately which frustrates (and) or disappoints me all the time. Nehemiah was different. He took time. Many days. However, he didn't walk the journey by himself alone. He took God alongside with him. He chose the chief companion of all. May my heart always remember who to go first when troubles arise; for no matter how high, how turbulent, how big the waves of obstacles threaten my security and success, the God who loves me is sure to tackle them all for me.